Acquire the survival skills necessary to persevere in the desert. Enhance your physical and emotional skills as you learn desert survival. Learn in small comfortable groups taught by professional instructors. 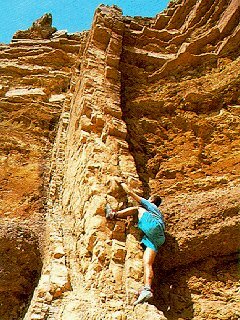 Travel picture of Climbing unique geologic formations in the desert.